Back when I was fighting Muay Thai, we essentially trained as if we were fighting, but with the padding on. We did often start out hitting softer but as a lot of people will know, 50% escalates to 70% pretty quickly and soon we’d be trading at full power. Some people would say this approach is due to a lack of discipline but the truth is, you hit as far as you’re willing to take when you train with friends. That doesn’t mean anything goes. I know a lot of people who simply do not regularly train heel hooks unless they are entering competitions. They are just too dangerous because you can’t train a heel hook at 50% in live sparring. Muay Thai has similar dangerous techniques. We didn’t throw flying kicks or knees and we didn’t throw elbows without prior agreement, headguards and elbow pads. We also never threw a ‘nep’ to the thigh, the Thai name for a jabbing front kick. They are simply just too dangerous. This is something we’ve seen a few guys in the UFC employ in the last few years, notably Anderson Silva and Jon Jones. 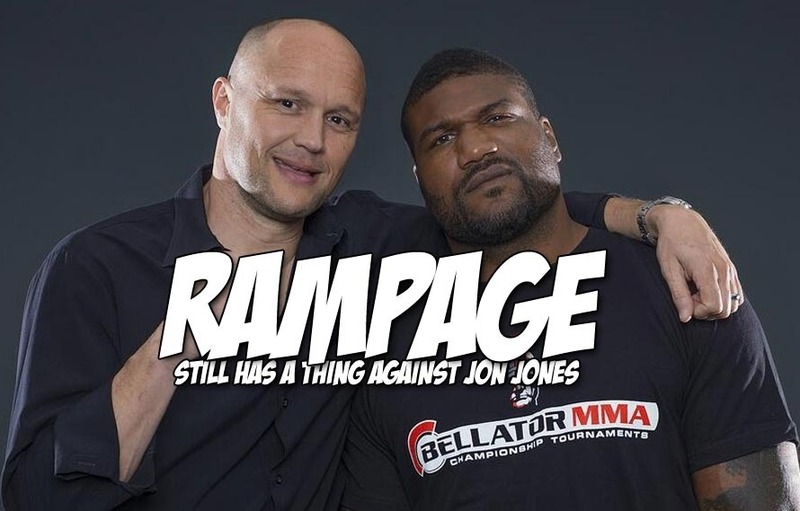 Well, Rampage was one of the fighters who suffered at the hands of this legal yet dangerous technique at the hands of Jones and even now, isn’t too happy about it. When Fighters Only asked about the planned bout between Jones and Glover Teixeira, Rampage wasn’t shy about giving his honest opinion on the champion. I’m honestly surprised other fighters haven’t said anything like this. Even if you miss the knee and deliver a well placed front kick to the thigh of a forward moving fighter who has planted his entire weight on the front leg, this could buckle the knee, damaging it irreparably and potentially ending a career. I certainly wouldn’t train with someone who wanted to add that into regular sparring.